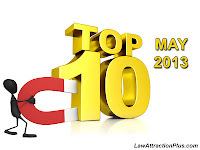 Top 10 - May 2013 | Law of Attraction Plus: The Secret revealed! 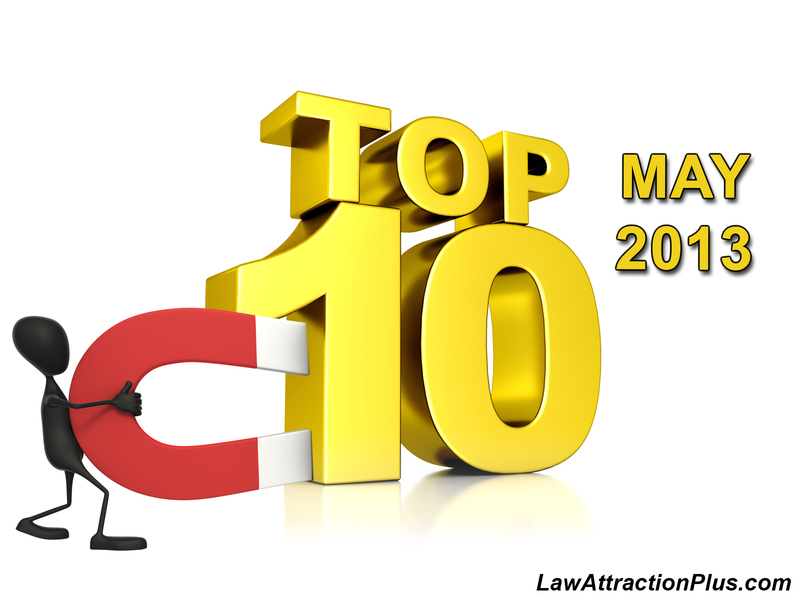 How to Attract Money with the Law of Attraction? "I take care of my body." "Do Not Disturb! I'm Focused on My Positive Thoughts." "I am a Powerful Magnet: I attract lots of Money, Happiness and Health!" "I Choose to Live an Abundant, Happy, Healthy and Prosperous Life." "Everything is possible for the person who believes." "I was born to Live in Abundance"
"Success is not the key to happiness. Happiness is the key to success."